The current procedural terminology (CPT), a core element of the electronic health records, is a medical code set that is used to endorse medical, surgical, and diagnostic procedures and services. 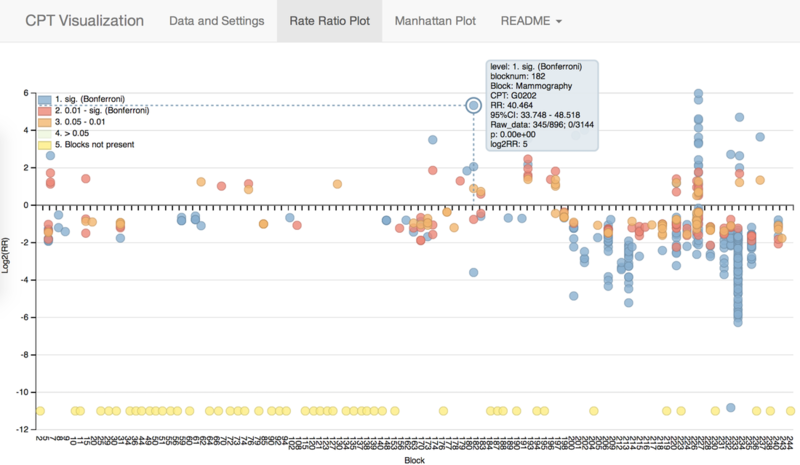 This tool provides interactive visualization implementing hypothesis testing and penalized regression with inference to compare healthcare utilization using the CPT codes. 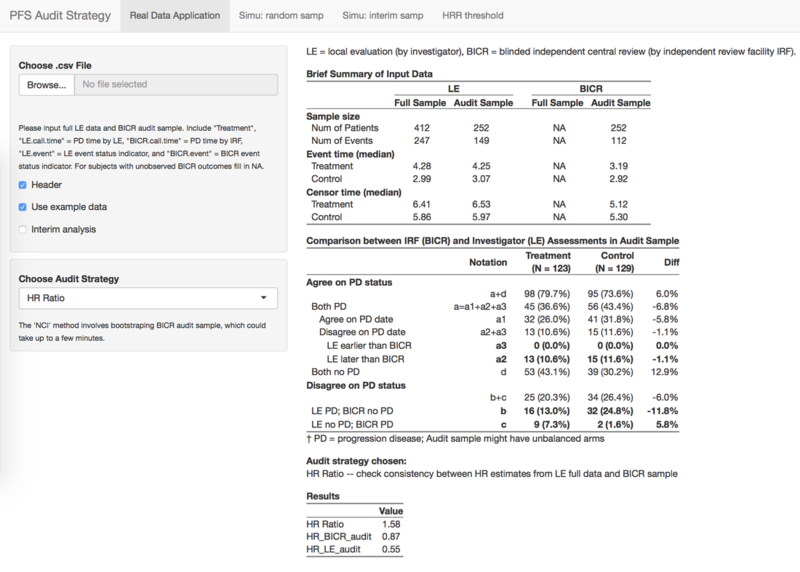 ​An interactive decision support tool for detecting bias in assessment of progression free survival (PFS) in the design and analysis of clinical trials using a sample-based audit strategy, including interim and final analyses reports, trial-specific operating characteristics, sampling mechanism comparison, and threshold determination.